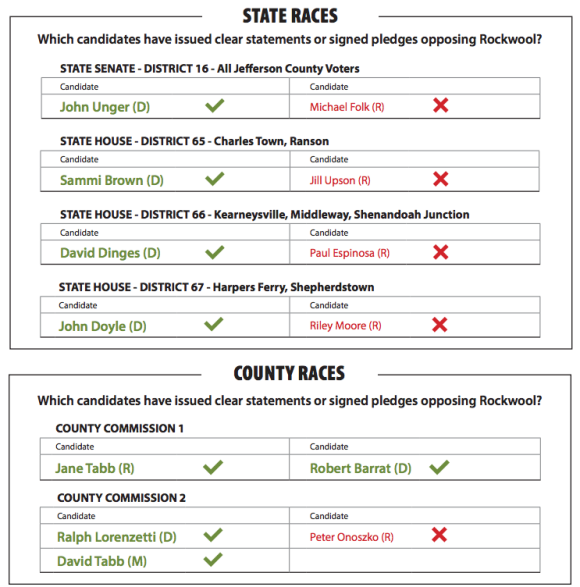 Learn which candidates pledge to oppose government-sponsored heavy industry in Jefferson County. Rockwool is a global-scale insulation factory with 21 story smokestacks that will produce toxic emissions. The state and local government are sponsoring Rockwool with tens of millions of dollars in direct funding, infrastructure deals, and special tax breaks. Rockwool is new heavy industry planned for the heart of Jefferson County near schools and neighborhoods. This is not an endorsement, but information you can use when making your Election Day decision.